A service where you and I inventory your career together. Anyone talking themselves out of pursuing a career opportunity or side hustle because they don't think they are qualified. You’ll leave with a library of Work Receipts – documented proof of your accomplishments – to show the world (and yourself) that you’re qualified to do what you do. If you struggle with connecting the stories from your resume (or LinkedIn Profile or online portfolio) with what you tell yourself – and those struggles are preventing you from pursuing a career/opportunity/client you want – this is for you! You'll identify the skills and accomplishments you actually bring to the table and the stories behind how you developed those skills. You'll have a new appreciation of your accomplishments and the work you've put into being great at things. 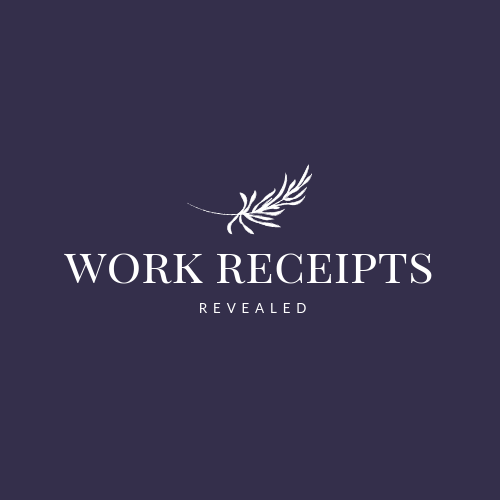 You'll talk – I'll listen – and we'll you discover and unpack your work receipts together. Phase 1: Consolidate –> Explore your career history and identify your work receipts (your unique Contributions, Ideas, Projects, Metrics, and Accolades). Phase 2: Investigate –> Uncover the backstory and details of each work receipt (see this example) so that you can frame your expertise into compelling stories. Phase 3: Anticipate –> Convince yourself you’re ready…or identify the flatsides to get you there. To prepare for each session, there will be an assignment to complete. These assignments help me prepare for our sessions and make the best use of our time. Once you've completed and submitted the assignment, you'll receive a link to my online calendar to schedule your session.